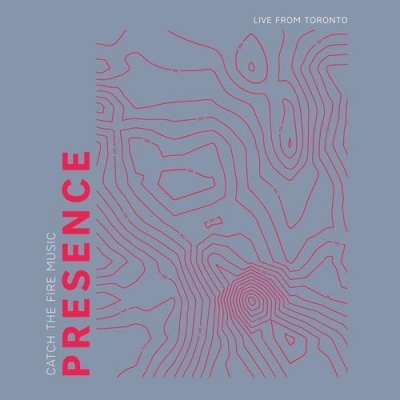 Recorded at Catch the Fire Toronto and featuring worship leaders from around the globe including Chris and Summer Shealy, Jonathan and Alice Clarke, Amber Brooks and Steve Tebb, ‘Presence (Live from Toronto)’ is the debut collective album from Catch the Fire Music. Read More Recorded at Catch the Fire Toronto and featuring worship leaders from around the globe including Chris and Summer Shealy, Jonathan and Alice Clarke, Amber Brooks and Steve Tebb, ‘Presence (Live from Toronto)’ is the debut collective album from Catch the Fire Music. Let me say from the outset that ‘Presence’ is an album laden with a passion for worshipping the Father and for drawing further into his presence. From the very first moments of the record with ‘Who the Son sets free’, you’re instantly drawn into a place of worship. And amazingly, across the 10 tracks you’ll find that you don’t really leave that place. I found myself wanting to listen to the whole album (not just singular tracks), to take in the lyrics and to cry out alongside the worship leaders and congregation in some of the beautiful raw moments of spontaneous worship that have been captured (‘You are Good’ from Steve Tebb is a particular highlight). However, for all the (many) positives, there are some things that just stop the album from hitting the heights that it could. Musically, the album is good (albeit not particularly original) and sound-wise it’ll be instantly recognisable if you listen to Jesus Culture or Bethel Music, however throughout the album the mixing of the tracks seems inconsistent. Vocals dive in and out and there are times when you can hear beautiful melodies and harmonies being sung out by other vocalists in the recordings that you want to hear more of - but they are too far back in the mix for you to be able to hear clearly. In a similar vein, across most of the tracks whichever instrument takes the lead on a song (be it guitar, synth or piano) tends to greatly overshadow the other instruments, so the audio balance seems off. There’s also no question that the songs Catch the Fire Music have selected for their debut album are great songs (you won’t be skipping any tracks). However, the overall feel of the album is very mid -tempo, which in theory should help with the album’s flow. But some of the songs fade out so abruptly that it’s almost jarring and actually disrupts the flow of worship instead. Following on from that, perhaps one of the more confusing choices in the album is with the way it’s been edited. The spontaneous songs are beautiful. But whenever any track feels like it’s getting too intimate the end of the track is called and it’s time to start again. And the most frustrating thing about that is that you can hear and you can feel that moments of pure intimacy with the Father are coming (or have come before the track starts), but as the person listening you never get to experience that. You’re given a taste, but it never has a chance to resonate. But with this album, the most important thing to remember is that context is key. For the things that let this album down are tiny in comparison to the things that this album has going for it. At times there is no question that it’s stunning - but it just falls short of what it could be. But with context what that actually means is that overall it’s a better collection of songs than most live worship albums released in the last year. And that in itself is no mean feat. Ladies and gentlemen, Catch the Fire Music have arrived and I’m genuinely excited to hear what comes next.